A 5 pin extension cable for Plus Radio and Plus LAN data loggers, up to 10m in length. It is used to increase the length of the 5-pin CAB-3239 input cable. 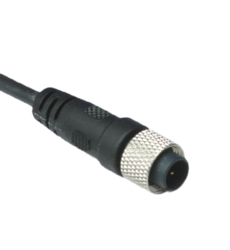 Please note: due to the length of this cable it is not suitable for use with our range of 5-pin PT100 and PT1000 probes.